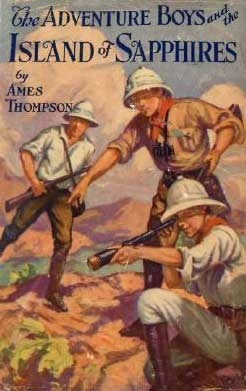 This series of five adventure books which has the heroes traipsing the globe in the quest for rare jewels was authored by Josephine Chase. 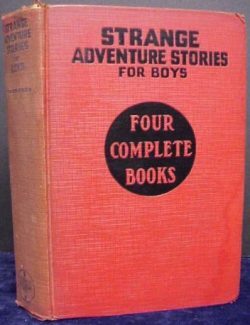 In 1935 Cupples & Leon reprinted the first four stories complete with frontispieces in their "Strange Adventure Stories for Boys" omnibus. Dust Jacket: Full color on white coated paper. Same for all books. Red cloth binding, black lettering. Illustrations: 4 on coated paper. Dust Jacket: Two color on white coated paper. "Malcolm Edwards and his son Ralph are adventurers with ample means for following up their interest in jewel clues. 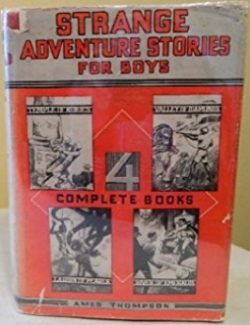 In this book they form a party of five, including Jimmy Stone and Bret Hartson, boys of Ralph's age, and a shrewd level-headed sailor named Stanley Greene, They find a valley of diamonds in the heart of Africa." "The five adventurers, staying at a hotel in San Francisco, find that Pedro the elevator man has an interesting story of a hidden "river of emeralds" in Peru, to tell. 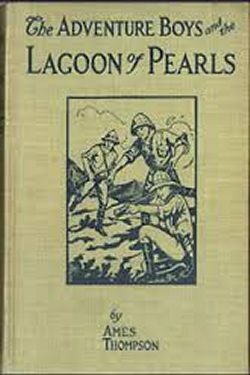 With him as guide, they set out to find it, escape various traps set for them by jealous Peruvians, and are much amused by Pedro all through the experience." "This time the group starts out on a cruise simply for pleasure, but their adventuresome spirits lead them into the thick of things on a South Sea cannibal island"